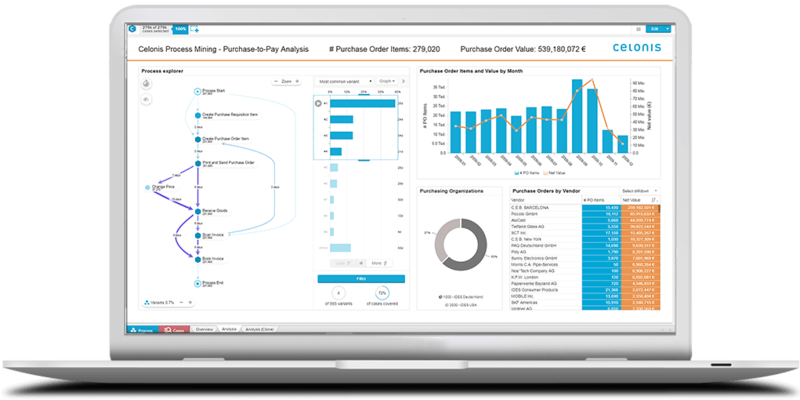 REWAG has fully mastered its purchasing with Process Mining. REWAG sought to improve their complex and costly manual procurement process within a framework of regulatory compliance and specified processes. They also wanted to gain full visibility into all of their business processes to prevent errors and bottlenecks. That is why they turned to process mining. Now, they have full command of their procurement process. At worst, it was paper chaos. Some orders were completed using manual forms, others electronically. Plenty of procurement was occurring – no wonder, given that Regensburger Energie- und Wasserversorgung AG & Co KG (REWAG) provides electricity, gas, heat and water to more than 200,000 residential and business customers. REWAG’s Director of Procurement Thomas Brandl had another key objective to fulfill: consistent digitalization and along with it, the optimization of processes. First, the scraps of paper had to go. MY EXPECTATIONS HAVE BEEN EXCEEDED BY FAR. After a detailed selection process and comparison of the solutions, the choice was easy: Celonis Process Mining fulfilled all the requirements. The innovative technology brings together all data stored in the company’s IT digital process chains and visualizes current processes in real time. Process mining reflects the actual state, thus bringing maximum transparency in all business processes. The ability to gather and process insights in real time was one of the decisive points for Brandl. It can easily be integrated into Celonis data sources and thus provide system-wide insights. Moreover, REWAG liked the intuitive handling and flexibility of the solution. “The software is also easy to operate for users with little IT knowledge,” says Brandl. All these points were presented in a convincing proof-of-concept. And there was yet another test: REWAG had intentionally provided the Celonis team with only three to four keywords for analyzing the process. “Celonis worked very independently and presented us the result in just two weeks,” he said. After only two meetings and smooth coordination, the solution was implemented within one week. “Process mining is so much easier and faster to implement than most people think. And it is well worth the effort,” said Brandl. NOW, WE DISCUSS SOLUTIONS IMMEDIATELY. There are often little things, some have great effects, such as a mistyped unit that can now be detected within minutes using the filter function and the zoom. Before we implemented process mining, it frequently took up to 20 days before we could find the root cause of the problem and fix it. 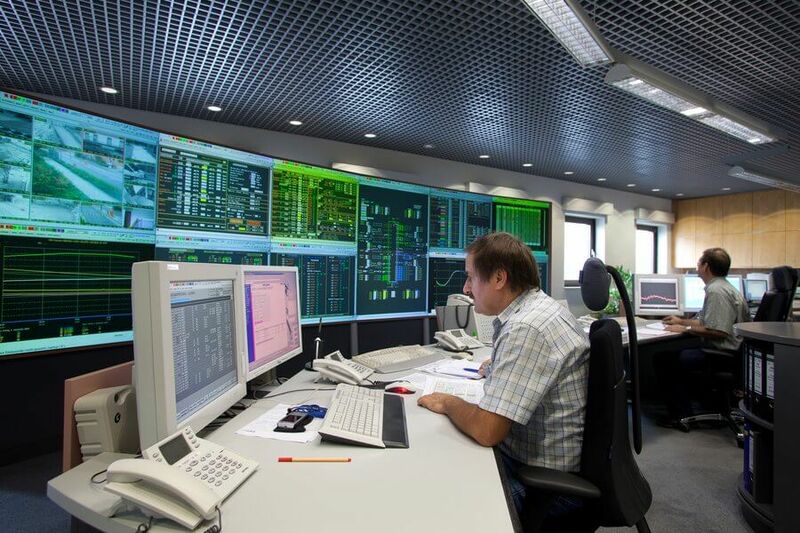 REWAG realized considerable time and cost savings from its process mining implementation. Brandl is now using process mining to drive more accurate supplier evaluations, giving them a significant competitive edge over competitors and suppliers, thus securing a stronger position in negotiations. “This is simply because we can filter out much more information from our data,” he explains. And he is now able to check different supplier metrics such as seasonal cycles or price changes. The additional information that Celonis supplies quickly and easily can be a decisive advantage for REWAG in tenders or in negotiations. “Furthermore, I can retrieve information from the software on discounts and successful renegotiations” said Brandl. Based on this, he develops price expectations, which he then communicates to his staff. This motivates them to be more aggressive negotiators that contribute more to overall business success.